← A Very Snuggy Christmas! Finally, here are some fun stats about Keep It Thimble that were sent to me by WordPress (my blog host). In 2010, there were 61 new posts, growing the total archive of this blog to 81 posts. There were 124 pictures uploaded, taking up a total of 232mb. That’s about 2 pictures per week. The busiest day of the year was August 20th with 326 views. 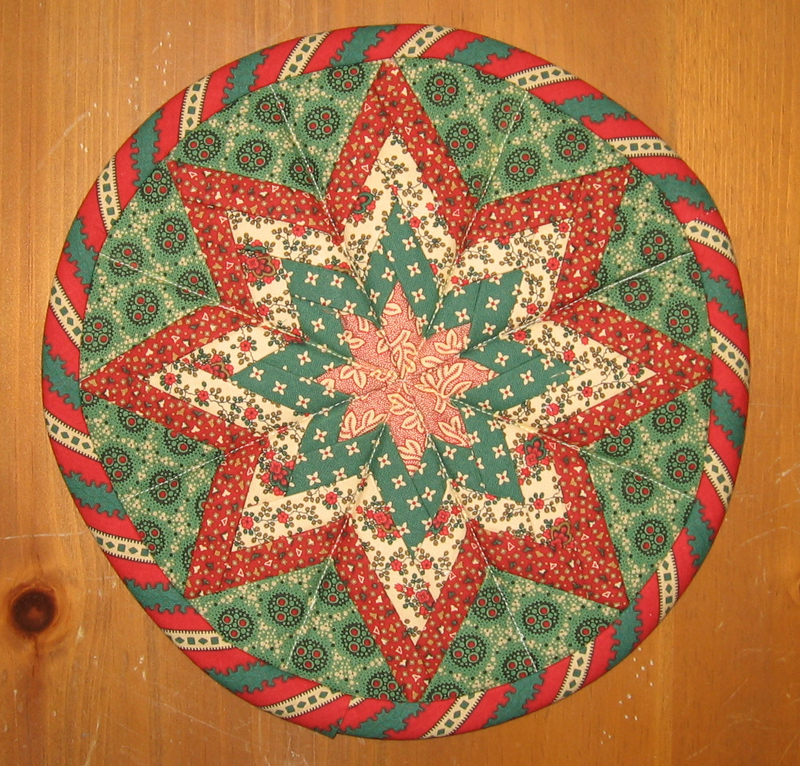 The most popular post that day was Free Pattern – Shaker Pincushion. The top referring sites in 2010 were sewing.patternreview.com, craftster.org, libertyrosepatterns.blogspot.com, pumpkinpatchprimitiveswoolcrazy.blogspot.com, and facebook.com. Some visitors came searching, mostly for folded patchwork, patchwork, folded star patchwork, wool crazy, and folded star. 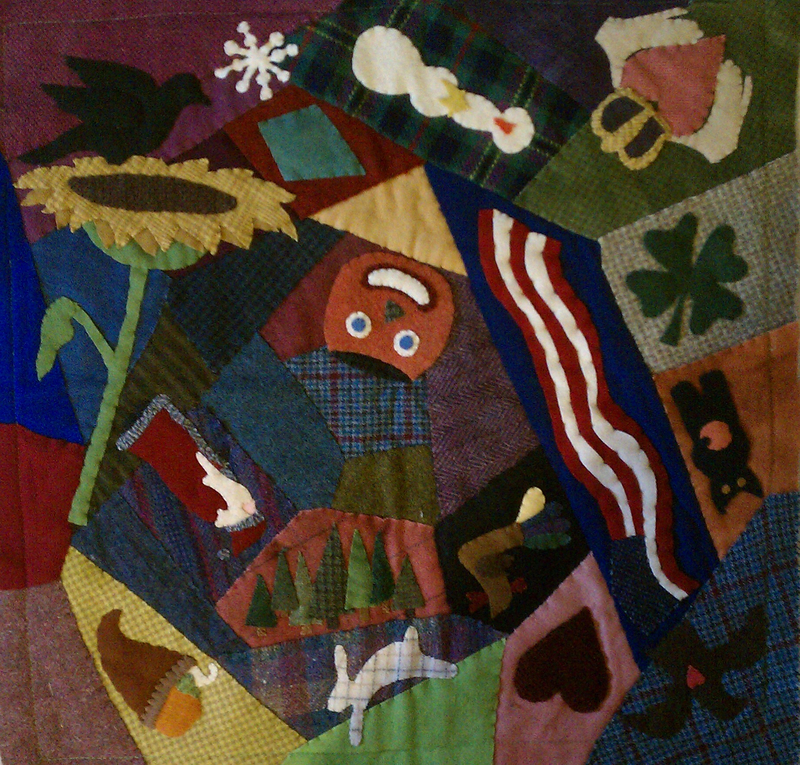 This entry was posted in Applique, Books, Classes, Crazy Quilts, Giveaways, Tutorials, Wool. Bookmark the permalink. The wool applique is beautiful. It is terrble that so many pieces were lost. I loved reading the number of people that looked at your web sight. I am doing my best to get my friends interested. Trouble is, I have very few friends that even know what a needle is used for. Good one! Tell them they can win free stuff if they visit. I will be having some giveaways this year. Happy New Year – sorry about your lost appliques. It looks very interesting – will it be a quilt? This will just be a table topper for now. It is 25″ x 25″. Eventually I hope to create three more blocks and put it together in a larger wall hanging.